Rusty Willoughby was the frontman for Flop, one of my favorite bands of all time and he was also one of my coworkers when I lived in Seattle. 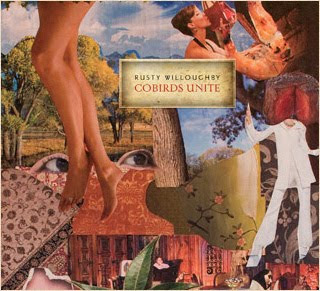 His new album, Cobirds Unite, is out now and sounds fantastic. I also love that the one review featured on Amazon docked him a star for saying the F word. Check it out and let me know what you think. Rusty Willoughby - Too Early/Crown of Thorns - Live @ Crackle & Pop! from Andy Smith on Vimeo.